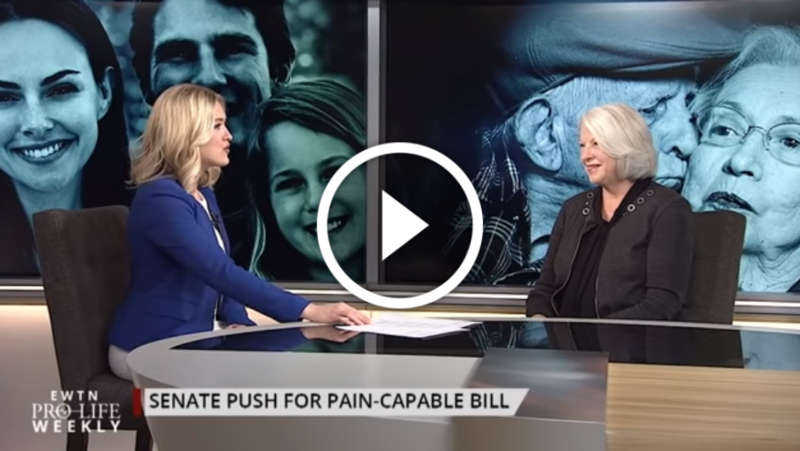 A Senate Committee takes up the cause for the Pain-Capable Unborn Child Protection Act this week—Senator Ben Sasse joins us to discuss this crucial legislation and we turn to Marilyn Musgrave of the Susan B. Anthony List for pro-life analysis. We speak to Derwin Gray, a former NFL player turned Christian pastor, about his church’s bold support of a local pregnancy resource center and the powerful reason why he’s pro-life. Comedian and television host Samantha Bee recently attacked the film “Unplanned” as an “anti-choice propaganda movie” – Catherine Hadro “Speaks Out.” And we sit down with the Honorable Robert Dornan, a Catholic and pro-life former congressman, for his insight on the pro-life movement today. EWTN Pro-Life Weekly with Catherine Hadro airs on EWTN every Thursday night at 10 pm ET. It re-airs on Sundays at 10 am and Tuesdays at 1 pm.